Are you doing all you can to combat this disease? The American Medical Association (AMA) defines a disease as an impairment of the normal functioning of some aspect of the body, with characteristic signs and symptoms that result in harm or morbidity to the entity affected. In June 2013, the AMA officially declared obesity a disease by that definition. While this was supported and debated by various constituents, the fact remains the implications of obesity on a workforce continue to mount. More than 72 million U.S. adults are obese, and persons who are obese have medical costs that are $1,429 higher than those of normal weight (CDC, 2010). How many of them work for your organization? • An adult who has a BMI between 25 and 29.9 is considered overweight. • An adult who has a BMI of 30 or higher is considered obese. While BMI may not be the perfect measurement, and others such as waist circumference and waist-to-hip ratios might be preferred, it remains the nationally accepted metric by which to gauge overweight and obesity ranges. • Cancers (endometrial, breast and colon). • Hypertension (high blood pressure). • Dyslipidemia (for example, high total cholesterol or high levels of triglycerides). • Liver and gallbladder disease. • Sleep apnea and respiratory problems. • Osteoarthritis (a degeneration of cartilage and its underlying bone within a joint). • Gynecological problems (abnormal menses, infertility). As employers, do you recognize any of these conditions from your company’s medical and pharmacy reports? Are they showing up as your top cost drivers? What are you doing to help your employees address weight as a significant contributor to these comorbidities? The medical care costs of obesity in the United States totaled about $147 billion (2008 dollars) (CDC, 2010), and this doesn’t take into account the impact of these conditions on productivity and organizational performance. Research findings also support an association between body mass index and traumatic workplace injuries among manufacturing employees. This research recommends that workplace safety personnel should consider adding policies or programs that address weight reduction and maintenance as part of ongoing comprehensive workplace safety strategies (Keshia M. Pollack, 2007). Employers can start to address obesity as a serious disease impacting their workforce by recognizing it as a condition requiring significant medical intervention and providing those who are obese with treatment options. AACE, WHO and NIH recommend a 5-10 percent weight loss sustained for one year – which they consider as a clinically meaningful weight loss. Structured weight management programs often include meal replacements, pharmacotherapy and even surgery – all of these can be necessary in combating this disease. Does your benefits plan cover these options? Despite increased attention to the obesity epidemic, little has been done to stop the bias obese adults face every day. Individuals who experience weight bias or discrimination are at risk for serious psychological, emotional, and health-related consequences, some of which also reinforce weight gain and obesity (Yale Rudd Center, 2013). Does your organizational culture foster bias or even recognize obesity as a disease that needs clinical assistance? Do those afflicted with this disease have adequate access to valuable employee assistance services? 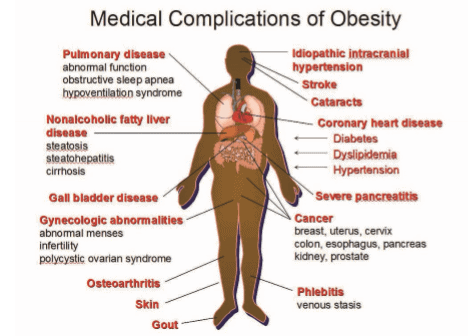 Obesity is common, serious and costly. In 2009, about 2.4 million more adults were obese than in 2007. This epidemic has affected every part of the United States. In every state, more than 15 percent of adults are obese, and in nine states, more than 30 percent of adults are obese (CDC, 2010). It’s time to address obesity as a disease and provide the substantial clinical management of it. Employers must move to give obesity top billing in health management programming. In her role at Employers Health, Traci works closely with the organization’s clinical staff, assisting member companies to develop, implement, enhance and evaluate through their strategies to improve the health of their workforce and establish supportive cultures of health and vitality within their organizations.